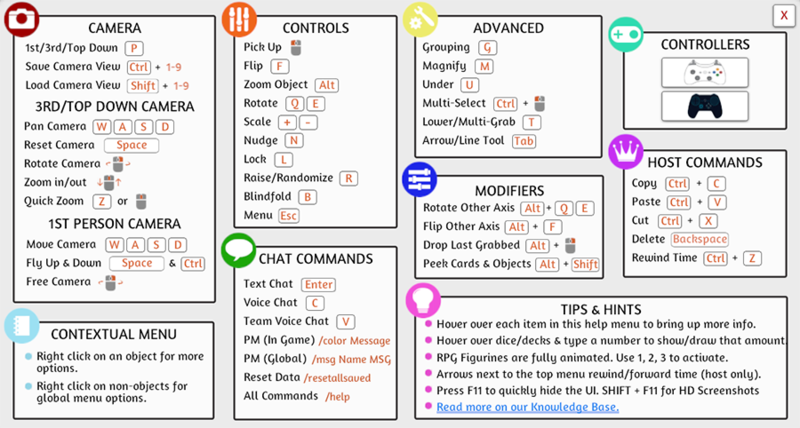 The Help Menu (formerly Control Scheme) showcases the various controls within Tabletop Simulator. To open up this menu in-game, press the question mark (?) key or slash (/) key. If you use a foreign keyboard, then try pressing the button next to ENTER. Alternatively you can press ESC or MENU in the top bar and click on “Help Menu”. 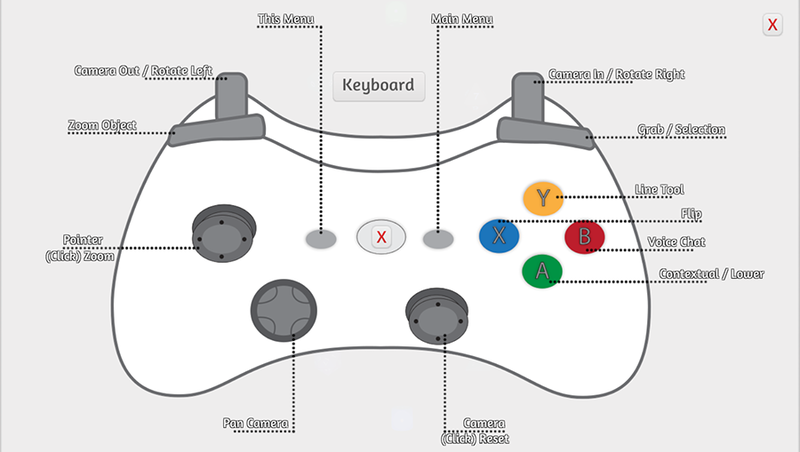 All of these keybinds can be changed in game in the Configuration menu.